Three minutes. That’s all the time a family has to escape when their home is on fire. Along with smoke detectors and a practiced emergency exit strategy, residential fire sprinklers are nearly 100 percent effective in saving lives. 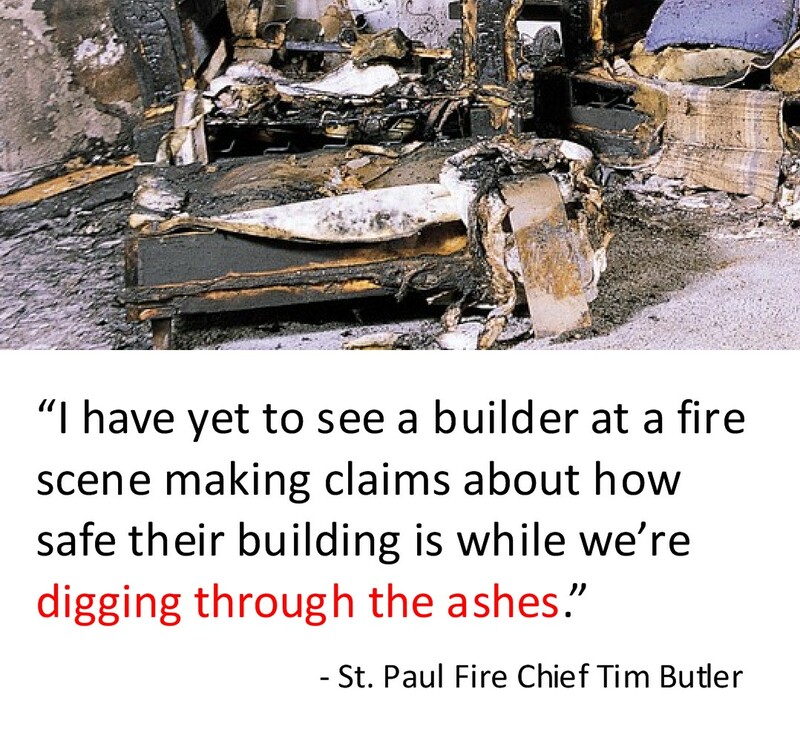 Learn more about the life-saving potential of residential fire sprinklers. Isn’t ZERO fire deaths in Minnesota worth one percent of a home’s construction cost? The Minnesota fire service opposes any effort to legislatively block the proposed public safety rule. Join us in supporting safer construction of new single family homes so we can begin to put a stop to the senseless deaths that take place right in our own homes. Contact your state legislators and urge them to enable safer construction of new homes over 4,500 sq. ft. by making fire sprinklers a minimum requirement. Don’t know how to contact your legislators? Find out here. MnFAC is a coalition of five Minnesota public safety organizations representing 20,000 individual members. Its mission is to act as a unified voice on behalf of the Minnesota fire service in public policy matters.